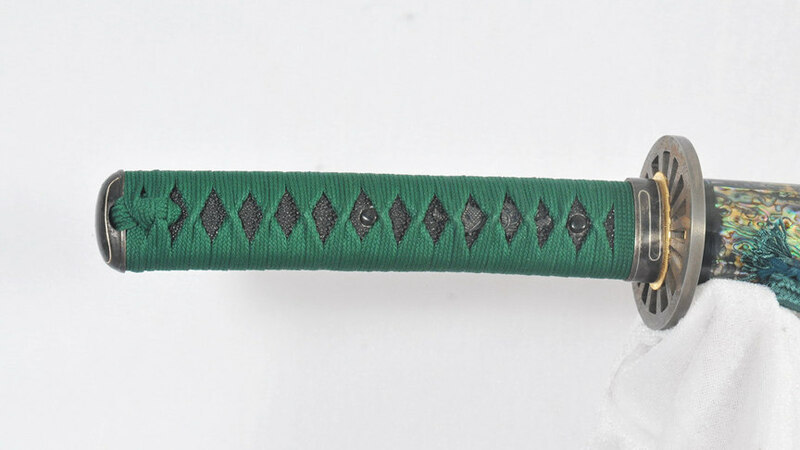 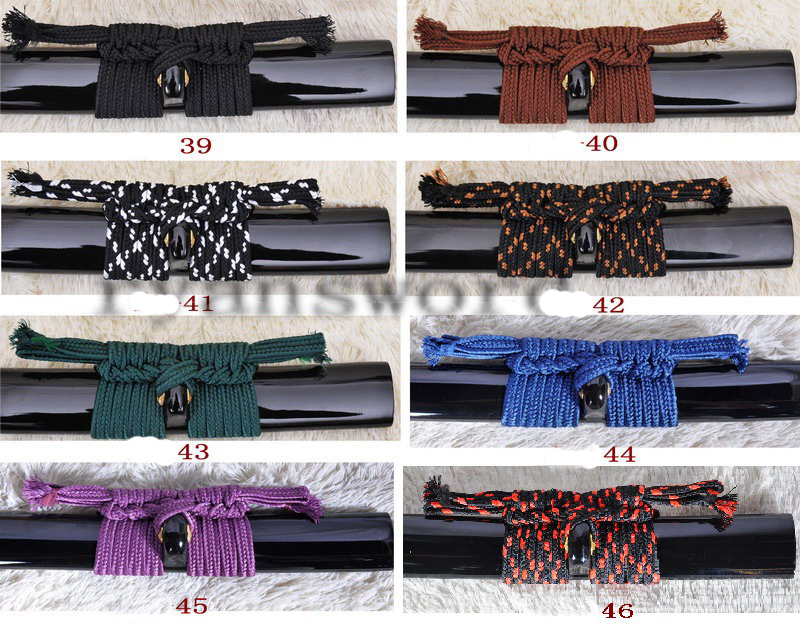 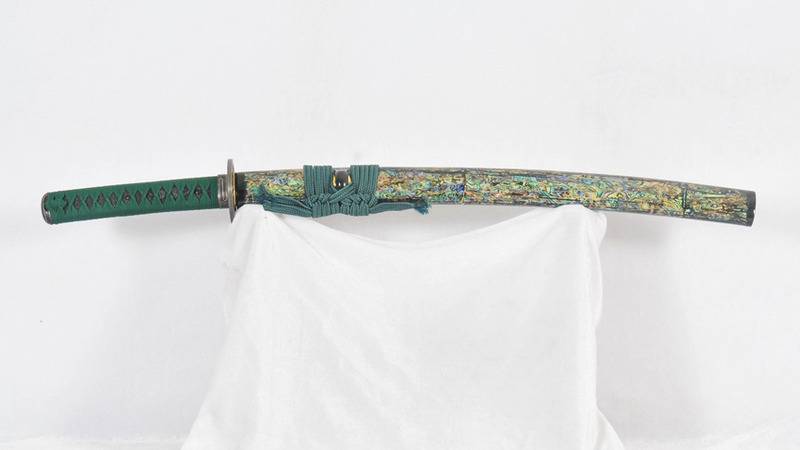 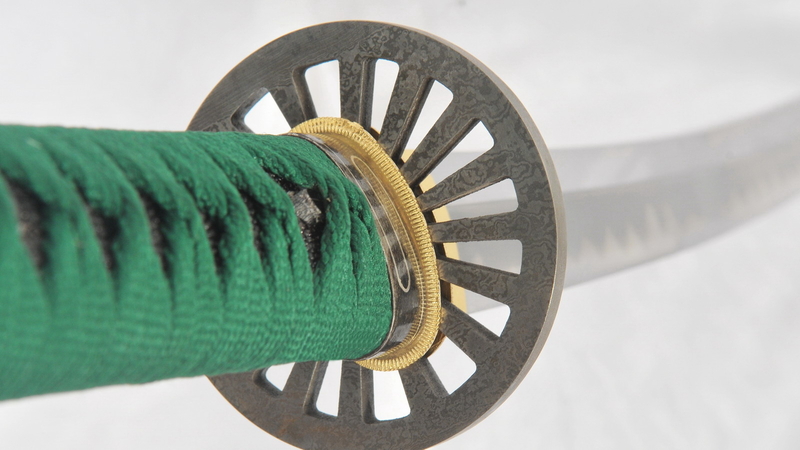 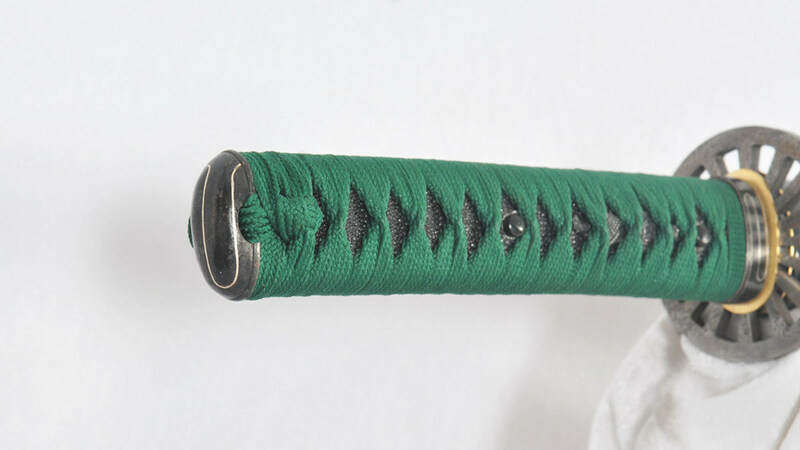 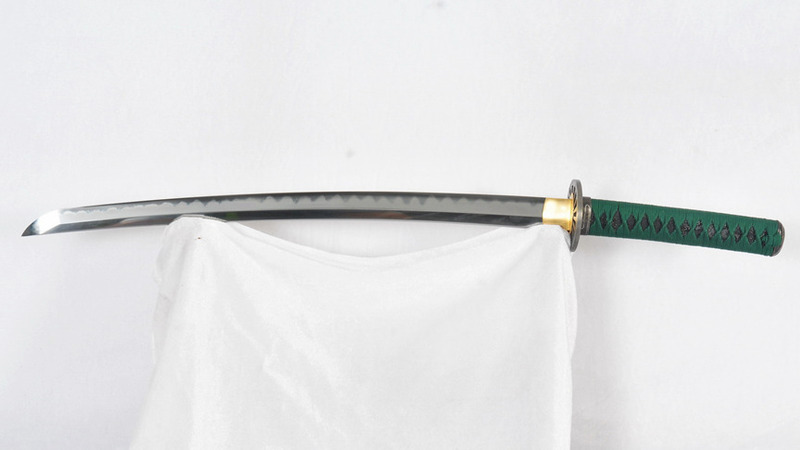 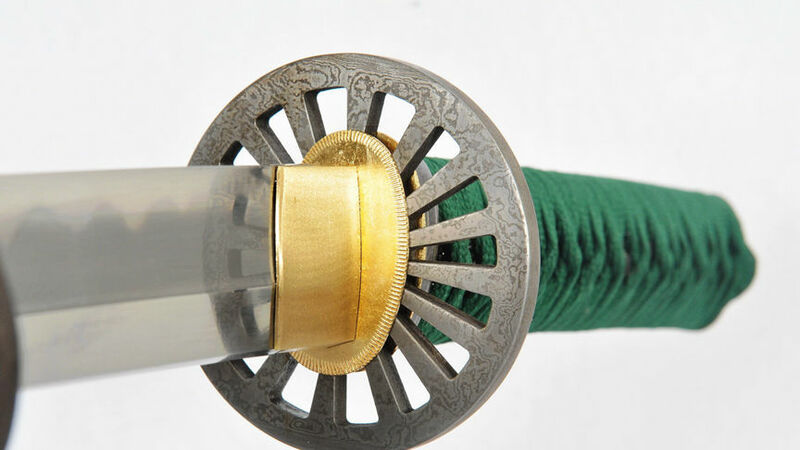 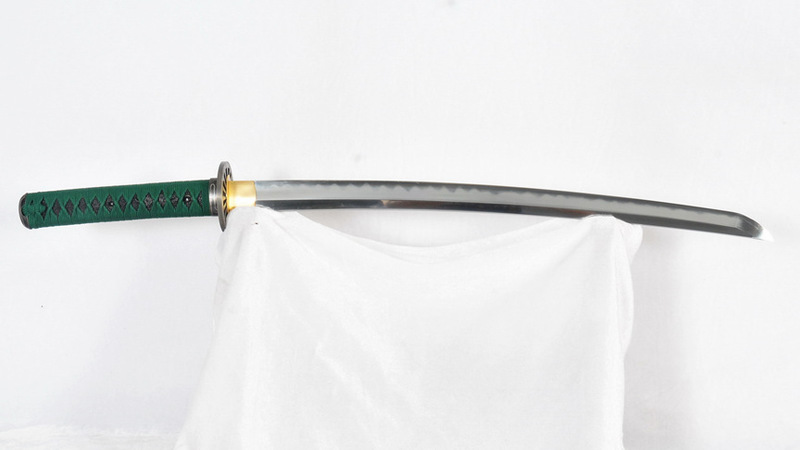 This wakizashi is one of our special design products. 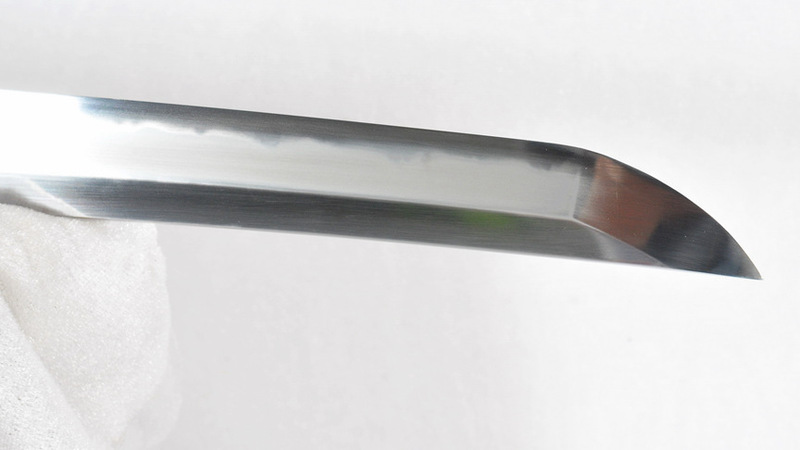 The blade is made of 9260 sping steel and clay tempered, it’s specially polished so the area under hamon is white. 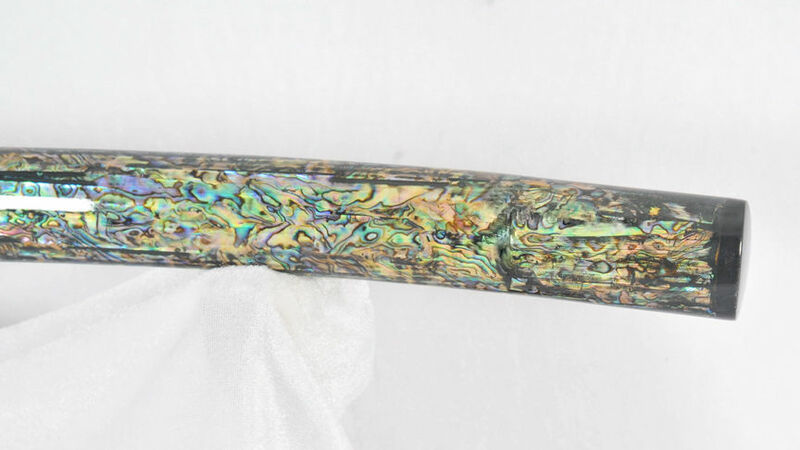 Its saya is covered in polished mother-of-pearl and shells, it gives a unique glow of random colors. 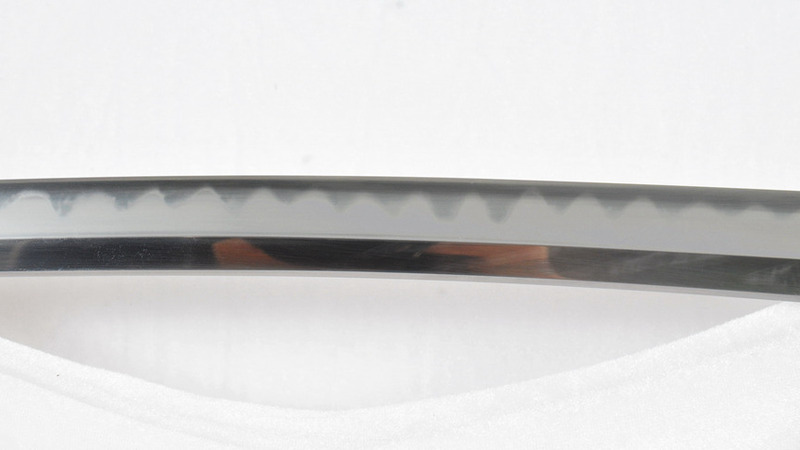 The koiguchi,kurikata and kojiri is made of polished, black buffalo horn. 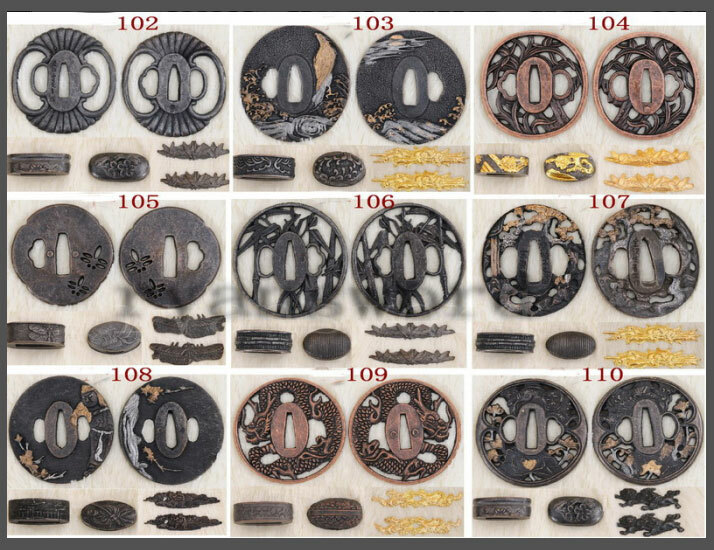 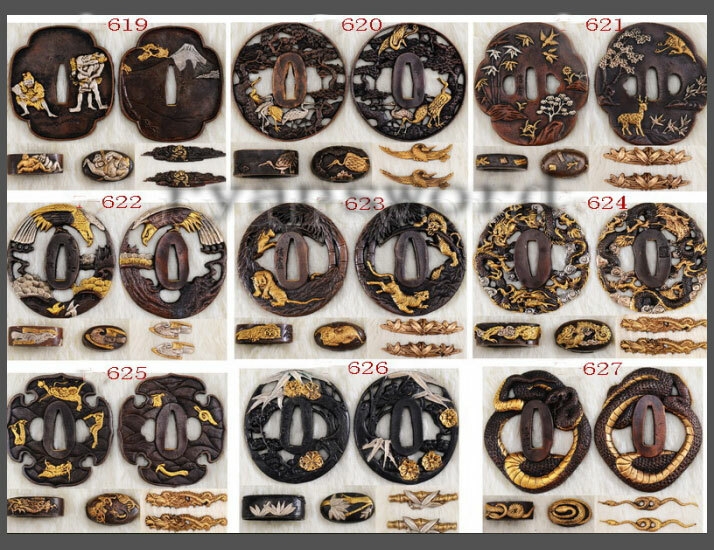 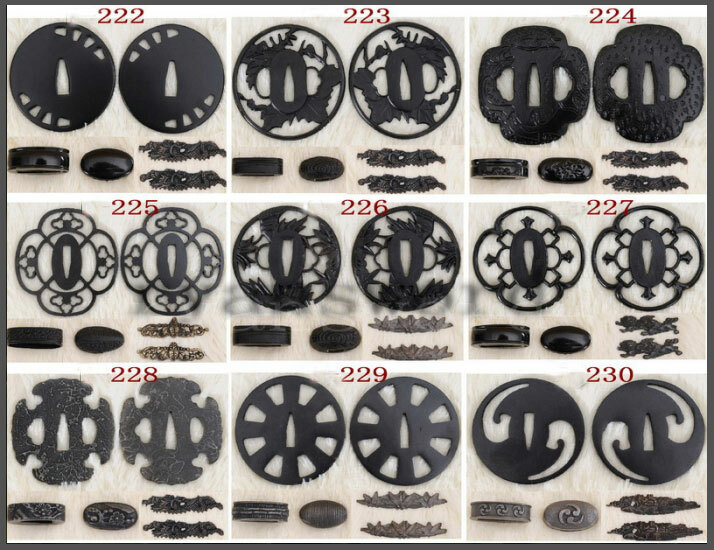 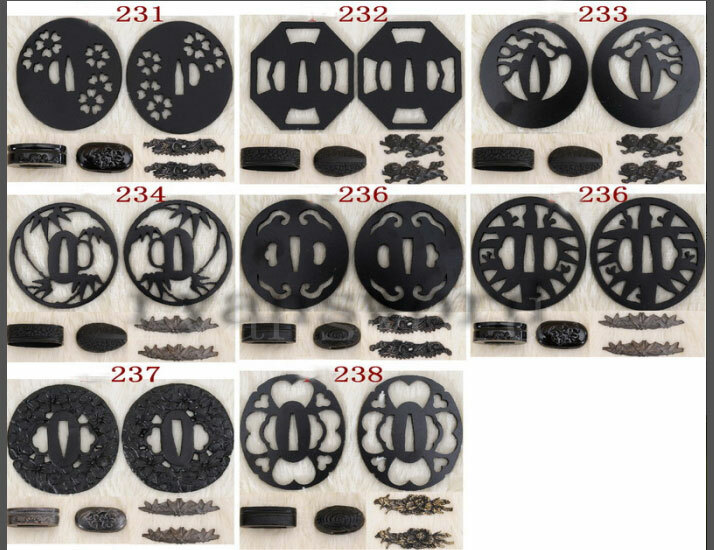 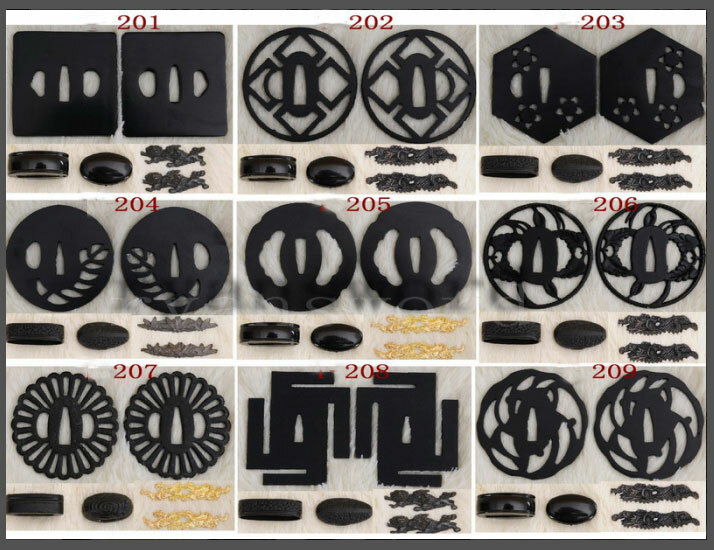 The tsuba is made of folded steel, beautiful grains of the steel are visible. 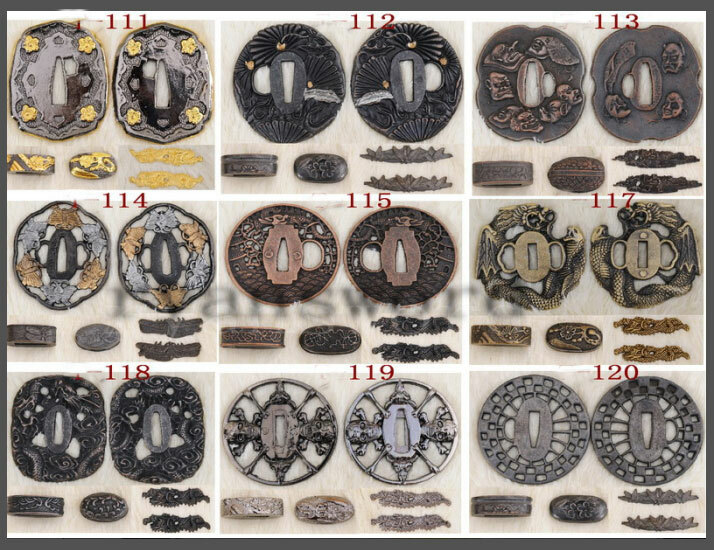 Fuchi and kashira are iron with silver embedded. 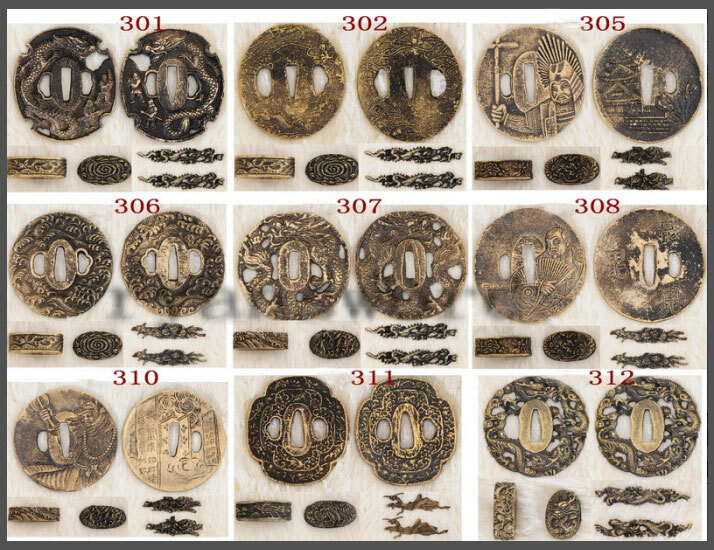 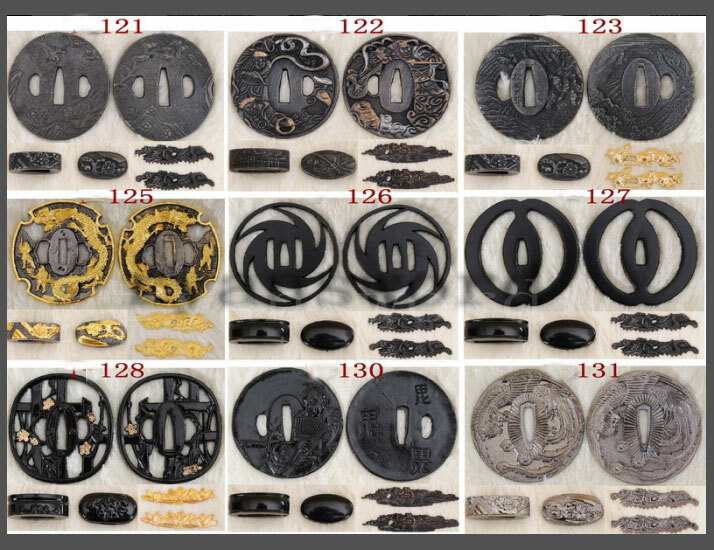 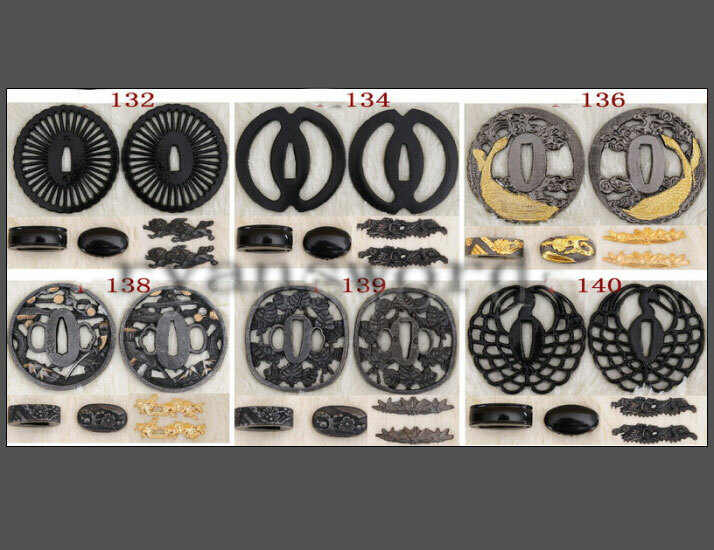 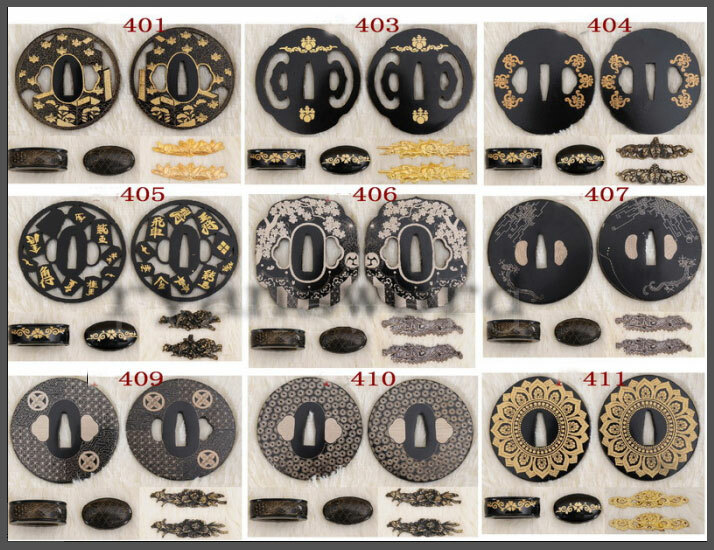 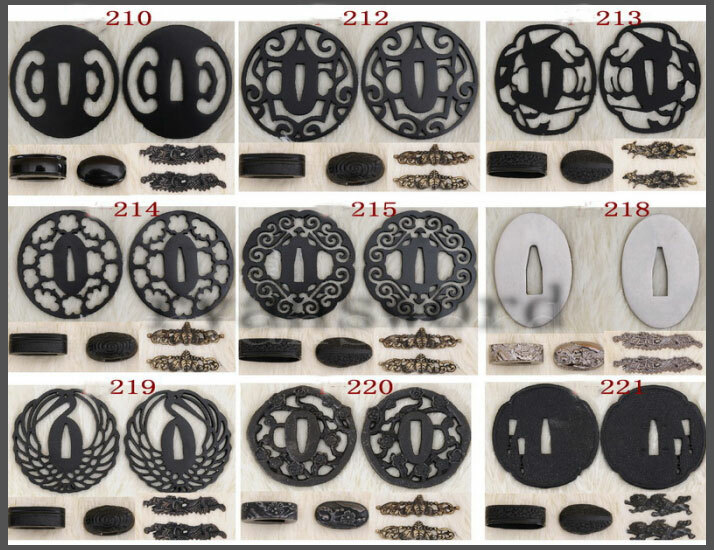 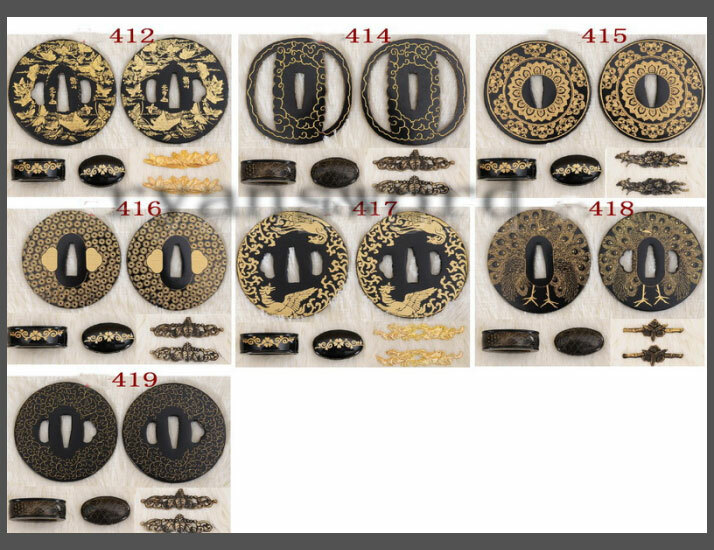 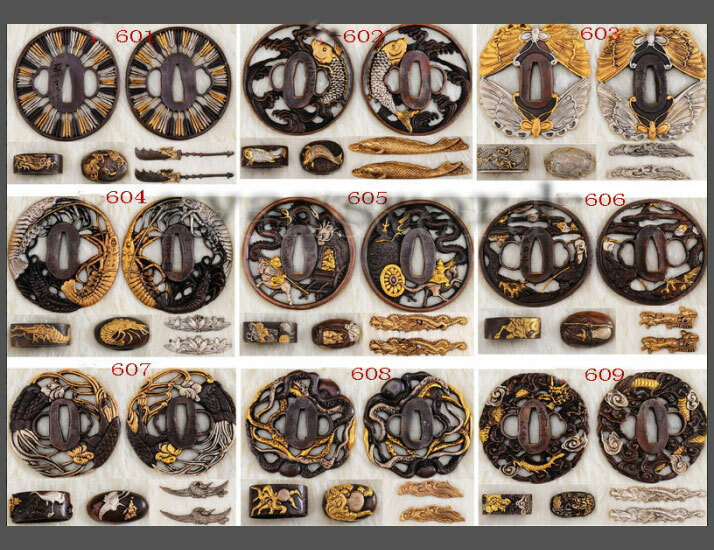 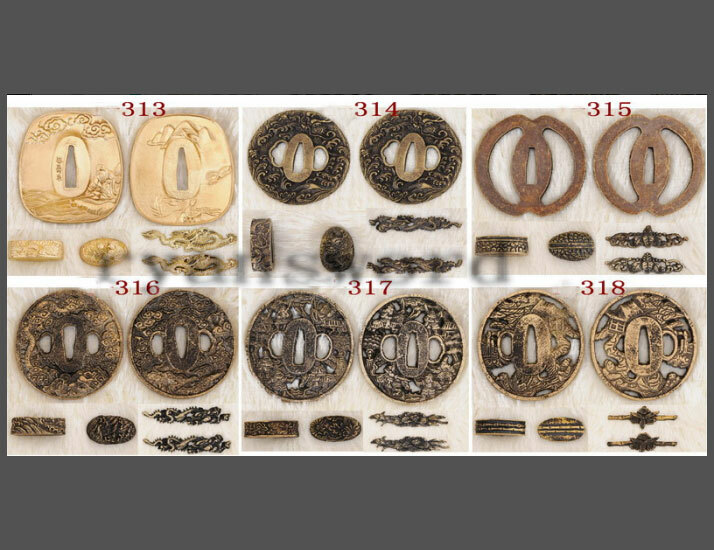 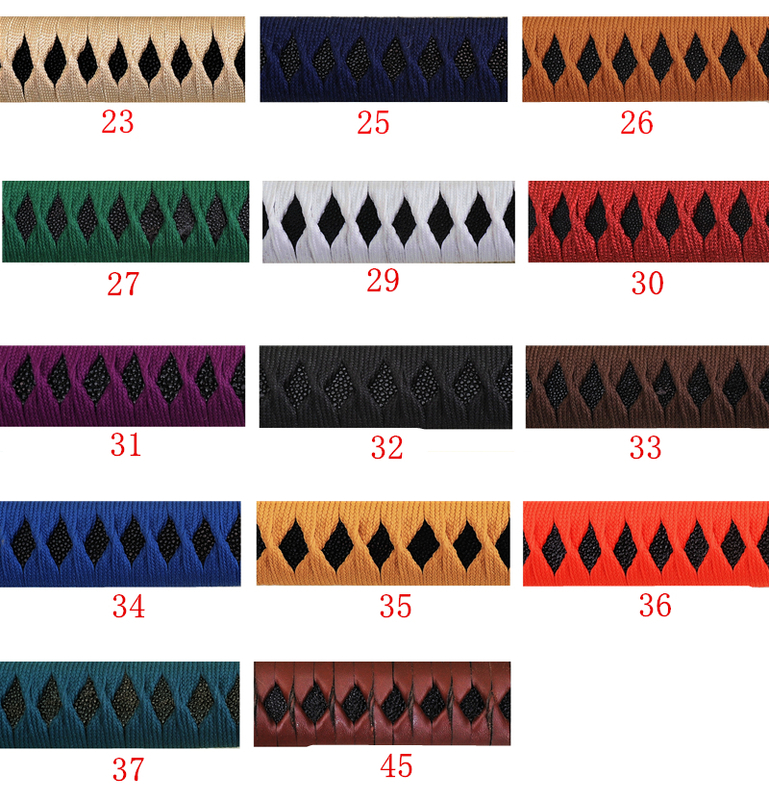 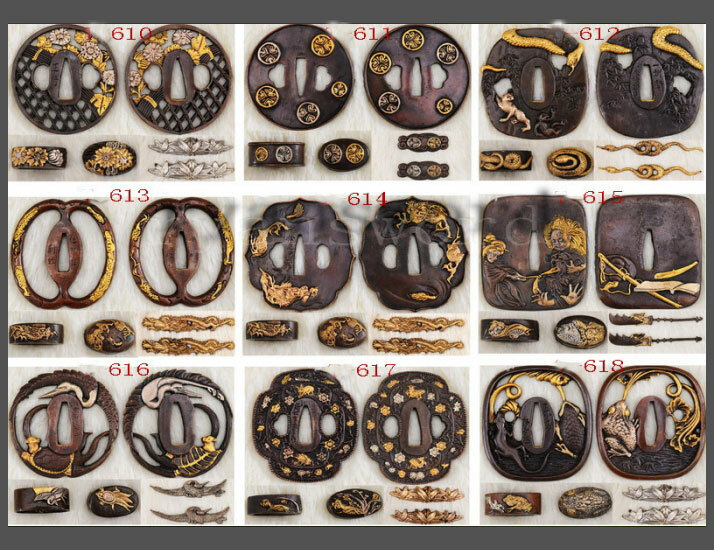 1) The tsuba is made of folded steel, the fuchi and kashira are made of iron with silver embedded. 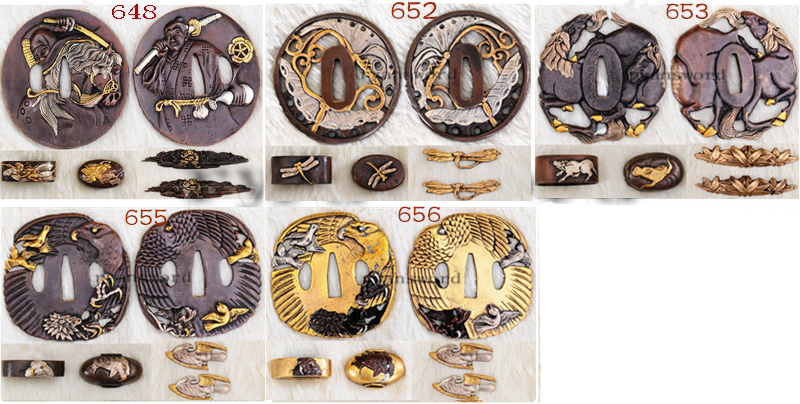 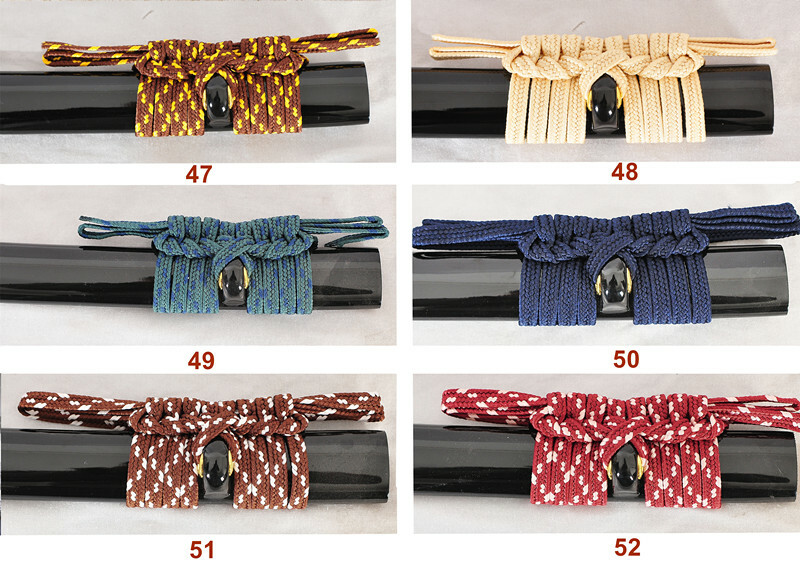 Buffalo horns are used as koiguchi, kojiri, kurigata and mekugis. 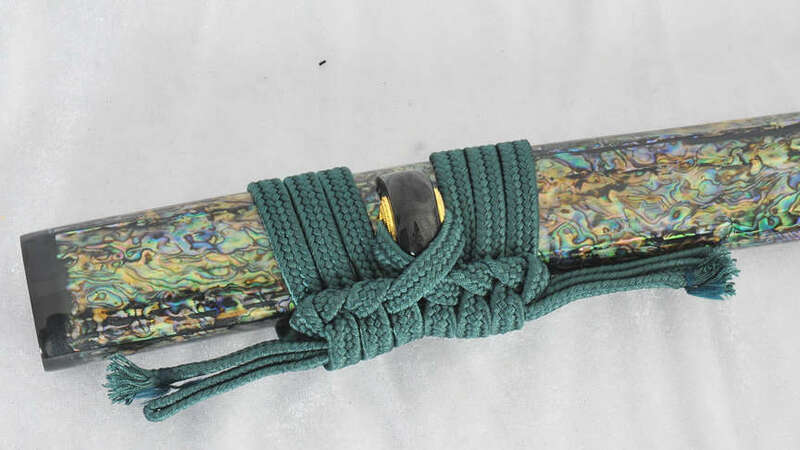 2) The sword will go with a free sword bag and spare Mekugies(bamboo nails).